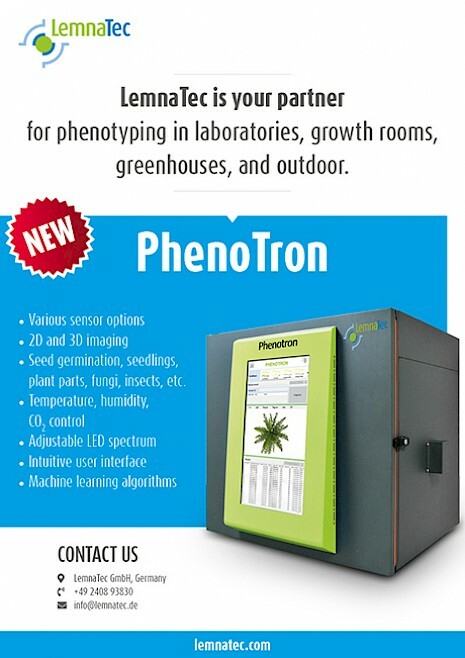 LemnaTec introduces the PhenoTron, a cabinet for imaging under climate-controlled conditions. Temperature, humidity, light, and CO2 can be controlled inside the PhenoTron. Advanced imaging options allow many applications, such as plant growth studies, germination testing, or biotic and abiotic stress testing. Machine learning algorithms facilitate data processing for targeted information extraction.